Mario Vulcano is a retired Chief Warrant Officer after 23 years and is currently serving as Course Manager and instructor for the Information Warfare Basic Course (IWBC) at Corry Station in Pensacola Florida. He has served a total of 10 years as an instructor while on active duty and as a government civilian and has been with IWBC since 2009. Recently he reached a significant milestone in his career, personally instructing over 500 IWBC students. Mario is married to the former Joyce Bartoszek for the last 28 years. They have two children, Marisa (25) and Jonathan (21). Unconstrained passion is one of the strongest motivators man has in his or her arsenal that has the ability to unleash far-reaching excellence and influence. This same level of passion that motivated Mother Teresa, Thomas Edison and Vince Lombardi in the great works they did, can be found in all people. The key, however, is that you must find it and shape it to energize it. These three people allowed their passion to consume them, causing them to spend an incredible amount of time and energy working toward their goals. It allowed them to become incredibly focused, competent and skilled at their craft. Each knew that they were part of something much bigger than themselves as they were pushing forward in their respective careers. As I think about the power of passion, I am confident we can learn from these three great people, for it is the same passion I believe some in the Information Warfare (IW) community have for cyber. Although I will be specifically addressing passion and how it directly correlates to those who are involved in cyber operations, I believe we can apply the same lines of reasoning to other unique skills sets. It is said that the first and most important job of a commissioned officer, regardless of the duties assigned, is to lead. I wholeheartedly agree with this; however, today we seem to associate a good IW officer with being well-rounded and diversified. There is a place for good officers to diversify throughout their career as well as officers to be highly specialized. Both can be very successful at what they do! 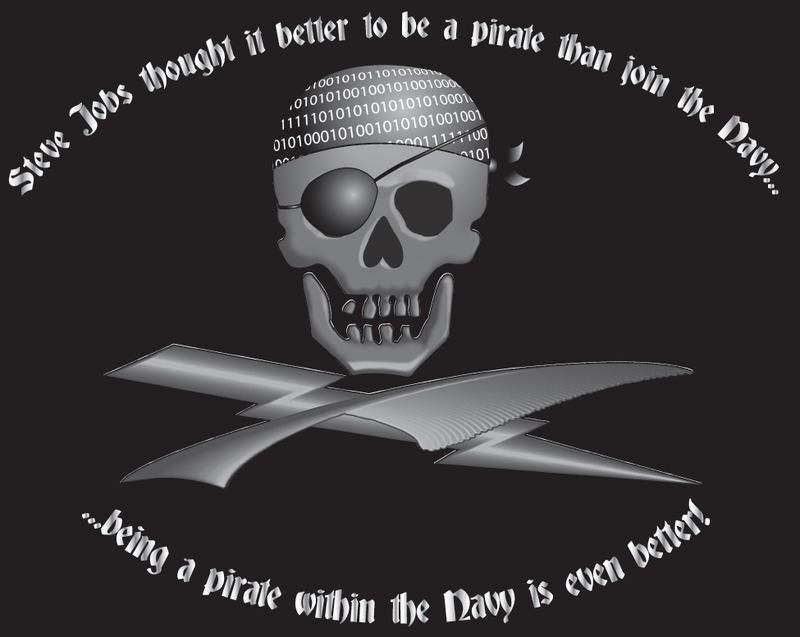 Unfortunately, outside of programs such as Navy medicine and aviation, in today’s culture we make no room for both, so we ask those who found their passion in cyber operations, our best and brightest, to start checking the appropriate boxes in other IW disciplines with the hope of becoming successful. They know that if they do specialize for too long in cyber they do so at their own professional risk. Twenty years ago, before cyber operations dominated our world and the IW community, I would agree with this line of thought, but today this thinking is flawed. What we are doing today in the IW community is like a Fortune 500 CEO risking the company’s bottom line by forcing the team’s elite to do something different with a goal of becoming a generalist – essential taking his A-team off the job. In reality, as we all know, this will never happen because profit margins are of the greatest concern to CEOs and they are held accountable to the company’s board members. Similar to Fortune 500 companies, the Navy has a bottom line and this is to support and defend the Constitution of the United States against all enemies, foreign and domestic, and we are held accountable to the American people to do so. So when we encourage IW officers who are passionate about cyber to become generalist, we are stifling long-term innovation and intellectual growth within the community and perhaps even weakening future offensive and defensive cyber capabilities. Most know that the cyber domain is changing so fast that it is impossible to keep up with the technology, unless those officers and operators are involved in cyber operations on a daily basis. In the two or three years it takes an IW officer to check that box in another IW discipline, not only will cyberspace dramatically change, but so will the supporting infrastructures, organizations, tools and authorities. As the IW officer’s decision making responsibilities increase with rank, they need to increase their technical knowledge on which to base decisions. As dynamic as cyber is, there is no way someone can leave cyber operations for three years and be expected to step into the same position of responsibility, or greater, without considerable training and time. We are told to challenge the status quo, hold our leaders accountable and have honest conversations – so here it goes. We need to start looking at cyber with the end in mind, which is to dominate! Dominate in the same way Microsoft dominated the PCs with Windows, and how Apple dominated digital music and cellular phones with MP3 players and Smart Phones. In the same way they crushed their competitors and dominated the marketplace, the IW community needs to crush and dominate our adversaries in the cyber domain. Microsoft and Apple did not hire box checkers, but people who were passionate and specialized in their vocation, allowing them freedom to be innovated and to solve problems. We need to learn from their example and start viewing cyber in terms of decades by investing in people and their passion for the long run. There is very little difference between the Navy and a Fortune 500 company as it applies to long term objectives, for both have a desire to be the best and to win. So let us take on this same attitude and identify those with the passion, aptitude and skills and allow them to specialize. Let us keep our best where they are at for as long as they want to serve and give them opportunities for leadership and promotion! This can be done by creating a new 18XX cyber designator and bring in the Cyber Engineers and IW officers together, so they can serve their entire career. However, some will say that creating a cyber 18XX designator is too hard or is impossible, but I say it time that we stop thinking about careers or rice bowls and start thinking about what is best for our nation. A 18XX cyber designator will allow passionate IW officers an opportunity to gain a higher level of technical competence and skills they need to bring new and innovated ways to accomplish an ever growing and complex mission. The idea of specialization is nothing new for the Navy. Today’s cyber operations and capabilities have been compared to naval aviation of the 1920’s. While these young aviators could not see aviation capabilities of the future, it did not stop them from developing Tactics Techniques and Procedures (TTP), many of which are considered the foundation of today’s aviation tactics. I like this model. Regardless how senior an aviator is, from Ensign to Captain, they are expected to maintain flight qualifications! Even commanding officers of aircraft carriers are expected to launch and trap. I’m sure the average aviator, regardless of seniority, understands his or her platform’s TTPs to the point where they can plan and execute an operation. This is where we need to be with cyber operations. The idea of an 18XX cyber designator would be a win for our nation and Navy and a win for the people serving our country. This shift in the way we manage our most valuable cyber resources, passionate professionals, would allow the opportunity for them to grow technically and create opportunities for these competent passionate people with cyber history to mentor those coming up through the cyber ranks. Many of us have been advocating specialization in the cryppie/IW community for years. I, and many others, personally eschewed “traditional” assignments, fully aware of the potential “negative” career effects, instead taking assignments and jobs at which I knew I could make impact and deliver value to the navy. I’ve had plenty of leadership opportunity along the way and (surprisingly) my promotions haven’t suffered (though promotion is a poor measure of success IMO). I continue to believe that managing your career the way you want to is the best COA for all officers. It doesn’t take permission from our community managers and leaders to do so.